The ranch is located at HC 62 Box 1300 O’Neil Rt. Wells, Nevada 89835. Contact phone is (775) 275-0593. Other numbers are 888-269-2022, (775) 472-0453, or (775) 472-0817. 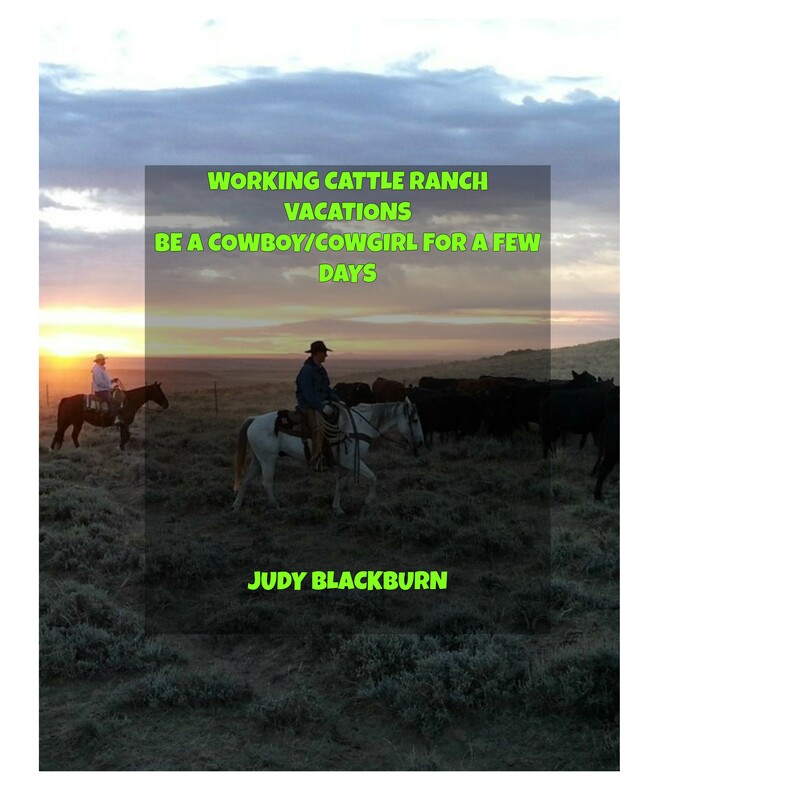 Email is info@cottonwoodguestranch.com and the website is www.cottonwoodguestranch.com. Visitors can stay between May and September. There is room for twenty folks. The Smith family run cattle and horses and have been doing so for six generations. Cottonwood ranch has a couple different offerings to take advantage of. They invite you to bring your own ATV’s or your mountain bike to use to explore miles and miles of their land. You can come back to the lodge for the night or you can opt to camp along the trail. The ranch offers retreats for businesses, family reunions, and they can host a wedding. If you so desire you can park your RV and there will be all the hookups needed. Hunting and pack trips are on the agenda too. The pack trips take you into the Jarbridge Wilderness. At the end of this ride is the mining town of Jarbridge. It is said this is where the last stagecoach robbery took place. Now, that sounds like some cool history to find out about. If you have good riding skills to match up to 50 miles of trail you can help bring in the band of horses and a herd of cows. You not only get to feel that excitement of galloping beside running horses, but you also can’t miss seeing the scenery and wildlife. This is a bonus. Winter is time for snowmobiles and Cottonwood has lots of snow and land to explore from a snowmobile. Winter prices are December to February and is $300. per person per day. A new addition to Cottonwood is called Cowboys and Casinos. This is a week long experience where guests can have a great time in Las Vegas at Caesars Palace for three days and another three days riding horseback across Cottonwoods beautiful ranch country. The price range for the six nights is between $2800. and $3200. per person. For this its best to talk to the person in the know and get exact pricing at (775) 275-0593. Some other fun activities included are team penning where you help pen up the cows. There is trap shooting and if you’d like you can toss a few horse shoes, not attached to the horse of course. Kids get to ride and participate too. They can take riding lessons and learn about the wildlife and also fish and go swimming. For the campers with full hook ups it’s $45. a day or $280. for a week. If you are just camping it’s $15. per day per person. There are bathrooms and showers available. Contact information and location of the ranch is 1411 Kingston Rd. Sandy Valley, Nevada 89019. Reservation phone (709) 242-0955, ranch manager phone (702) 683-5214. Some of the fun things to do at Sandy Valley range from riding some marvelous horses to cow pie tossing. They say gloves are provided for the latter. That’s good to know. You can ride the countryside or chase the cows into pens. This activity is called team penning. I’ve done a tiny bit of this on my mare one time. I went after the calf and herded it back to the pen. It was fun and I would do more given the opportunity. Price rates for the horse riding and trail ride is $75. per rider. A cowboy meal goes for $15. The team penning is $35. and to sit around the campfire in the evening is $5. per rider. How about being a cowboy for a day? This package fills your day with the wrangler setting you up with a horse, giving some lessons, then go for a ride. Later you’ll do some cattle work, learn to throw a rope, and shoot a 45 pistol. To end the day sit and sing around the campfire, and tell your story of the day. Prices for the above day being a cowboy, or for that matter, a cowgirl is $750. per rider. If there is a group of 2 to 5 riders the price is $500. per rider. Other fun activities are take a ride in the horse cart pulled by a miniature horse. This costs $150. For $250. riding in traditional surrey is available and they add that it does have fringe. A special event at Sandy Valley is the National Little Britches Rodeo for young people. Sandy Valley Ranch do all they can to keep American and Hispanic horsemanship alive. As part of keeping these traditions going these skills are taught and demonstrated at the ranch. Activities at this ranch is of course horse back riding and you bring your own horse. I didn’t read anything about them providing a horse for you. This ranch is more primitive then other guest ranches in that you are kind of on your own. As you ride out onto the the ranch’s some 300 plus acres there’s the very real possibility of seeing a wild stallion overseeing his band of mares. Sounds pretty cool to me. Hiking is another sport available. There are many canyons and meadows to explore in the Granite Mountains. To have a historic adventure, hike along where the wagon trains lumbered and creaked along the High Rock Canyon on the Applegate-Lassen Historic Trail. If you’d like to go farther into the wilderness you can explore the area on your motorcycle or ATV on dirt roads in the back country. For more leisure fun things to do, consider bird watching, visiting, and singing by the campfire, and looking for opals. Above all don’t forget your camera. This ranch has rooms to stay in or space for your RV. You can also camp, but be aware there is not any modern conveniences for the camper, so be prepared. I couldn’t find any prices for staying at this ranch so call (775) 557-2804 for information and reservations.